The teaching and the large distribution of African law and integration as well as their impact on the development of the continent. The publishing of individual or collaborative research. The publishing of opinions or comments on legal facts from the African news. The consulting and legal advising. 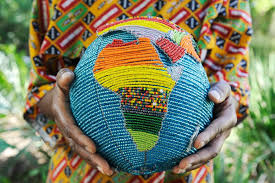 We, lawyers and specialists in African law, are deeply concerned about the dramatic political, economic and social environment in which live the majority of African populations. The paradox is that this beautiful continent is full of many resources (human as well as natural) available to meet the basic needs of these people. We are certain that the paternalism of power leads to bad leadership and delinquency of African States while perpetuating the ignorance of universal rules and values, especially in the African context. We are convinced that a smooth and long-term development of the continent (according to what the Africans desire) cannot be achieved without the knowledge and the effective application of law at all levels (regional, national and continental). We are convinced that only the knowledge of law and its effective application will lead Africans to build a newer Africa that corresponds to the desires of its people. We are determined to work for a better visibility and a better application of law on the continent. We hereby solemnly commit ourselves to put together our legal as well as human competencies to serve Africa for a deeper and effective change of the mentality as well as for better living conditions on our continent.